Cabin has two bedrooms with queen beds. Our cabin is fully furnished with the exception of your towels and personal items. Check - In 3pm Saturday, Check out 9am Saturdays. The Chippewa Flowage (Lake Chippewa) contains 17,000 acres of water. With 140 islands, there are over 200 miles of undeveloped shoreline, making it the largest wilderness lake in Wisconsin. You will be sharing the wilderness with loons, herons, bald eagles, otters, deer, black bears and a multitude of other species. The wide diversity of prime habitat includes numerous species of fish, including walleye, bass, crappies, northern pike, jumbo perch, pan fish and most notably the mighty muskellunge. The Chippewa Flowage is the home of the world record “Musky” of 69lbs., 11ozs. and a whopping 63 1/2 inches long. The Hayward area has so many opportunities for adventure. The Chippewa Flowage is spectacular for water fun, fishing and spectacular wildlife. My family absolutely loves it and I know you will too! The location offers all the best! You can fish right off the dock or hop on your boat and explore the vast Chippewa Flowage. There is a full-service lodge within walking distance that has a restaurant, bar, gas and bait. Spectaular sunrises. The kitchen window is huge, so grab a cup of coffee and enjoy the view of Chief Lake. Unbelievable view of Chief Lake! Sunrises are spectacular! 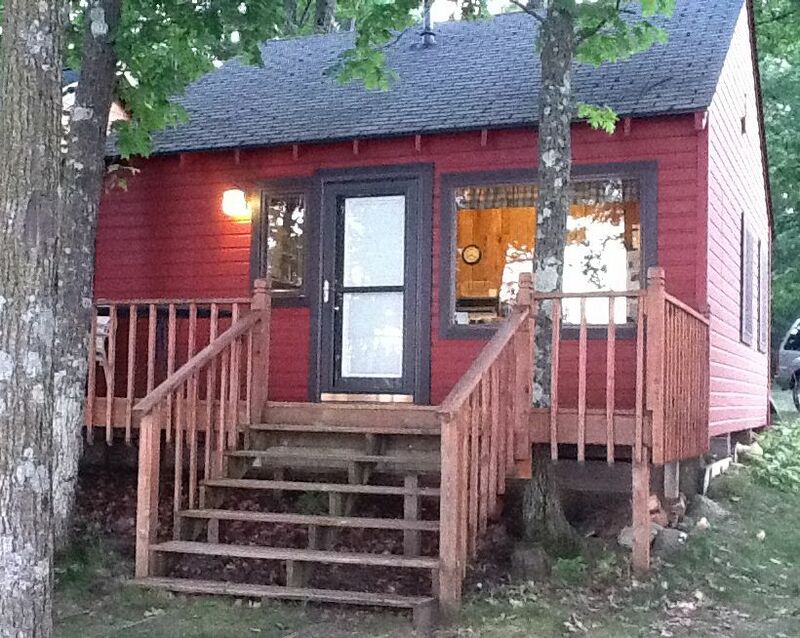 Our cabin is fully furnished with the exception of your towels and personal items. There is a television, but no cable tv. There are more than 40 DVDs. Perfect place to stay for 4 people who wanted to fish for the week. The location right next to the Chief Lake Lodge Bar/Grill was a bonus. Would definitely stay here again. This cabin was a saving grace for us! We had a family reunion, with the rest of the family staying at Oak shores & Pat's Landing. Those were all booked by the time we started to plan. This cabin was the only one we found available in the area, and I am so glad we found it! Very reasonably priced and close to all of the other places. The rest of the family was quite impressed with our find & the price of it! This cabin is a 5 minute walk to Pat's Landing. It is small, but has everything you'd need. 2 queen beds and also a pullout sleeper sofa. Stocked with enough pots, pans, silverware, and spices to cook with. The lake & view from the cabin are beautiful. Fire pit out back and own private dock too. We're already booked for next year! Maximum occupancy 4 persons. Contact owner for directions.